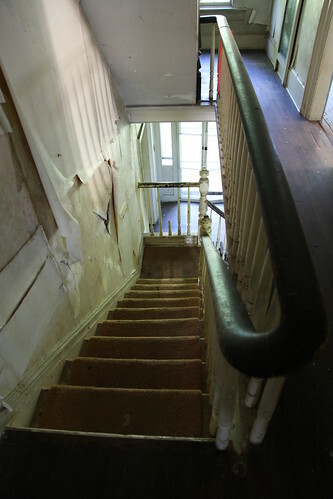 The stairs to the 3rd floor can be seen sloping up the same way as the stairs to the 1st floor. The front door on the first floor allows in ample natural light. A curved banister runs the entire length of the stairs, along the 2nd floor, straight up to the 3rd floor.